In conclusion, like so many upgrades, the Panasonic Lumix DMC-FX60 is basically an FX40 with a few under-the-bonnet operational tweaks to justify its release - namely speedier AF and improved image stabilisation, not that the uninitiated would notice. So these new 'improvements' aren't for us reason enough to trade in your older model. However, looked at afresh and working in the FX60's favour are size, ease of use, better (wider) focal range than found on £100 compacts with typically a 3x optical zoom, plus a solid, sturdy feel. Pity there's not much to get a grip on when taking photographs handheld and that buttons are small for the most part, but this is an acceptable trade-off to ensure a form factor not much larger than a credit or business card. Portability is what this camera is all about. And, since its target market will largely be using the camera for holidays and special occasions - so chiefly as an aid to memory - the image quality is more than adequate despite the occasional softness. OK, so it's not markedly better though than cameras costing £100 less, so you'll have to decide whether a better build quality and nice-to-have features such as HD movies are worth paying a premium for. 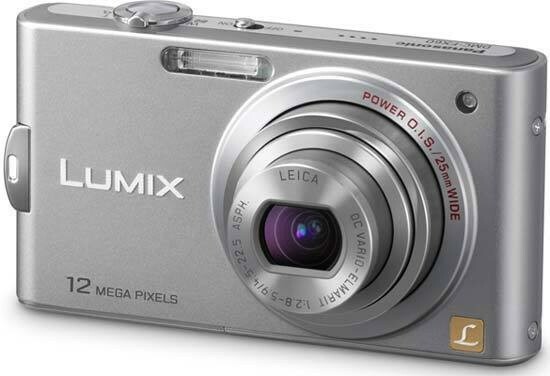 For the price you'll be getting a consistent performer that will take decent pictures with the minimum of fuss, and if you're happy with 'snaps' you'll be happy with the Panasonic Lumix DMC-FX60.